to start, Why would you want a CTC? If you could free yourself from everything holding you back from being amazing - all of your fears, limiting beliefs, negative emotions – you would, wouldn’t you? You deserve to feel empowered, happy and ready to conquer the world. The solution is very simple. You see, after years (even decades) of not looking after ourselves properly, not aligning with our truth, not paying attention to our body’s whispers, and not addressing our true needs, we wake up one day and our lives feel like a giant, boiling pot of water from which we can’t see a way out. We’re well and truly stuck… and it feels awful. Perhaps for you it’s issues with your health, your body, your weight, illness, or food. Perhaps it’s lingering trauma, anger, pain, or resentment. Maybe it’s a complete inability to figure out your life passion or purpose, leaving you flirting with constant fatigue, depression, and malaise. Or it might even be manifesting as you get in your own way when it comes to business success. Your transformational CTC will equip you with everything you need to change all of this - quickly and permanently. What exactly is a CTC? CTC stands for Combined Therapy Cocktail (although in the industry, we affectionately call it “Cut the Crap” because it’s so effective at releasing blockages). It’s a potent healing modality encompassing a range of powerful practices including NLP (Neuro Linguistic Programming), Hypnosis, EFT (Emotional Freedom Technique), Reiki, Time Line Therapy, Metaphysical Healing and more. Because the therapist is not limited to a single modality, they are free to combine a whole range of energetic tools and techniques to create maximum impact and transformation. Thus they can tailor the experience precisely to each client’s needs. Best of all, because you’re receiving energetic healing on all three levels of your sacred self at once – body, mind and spirit – it can trigger massive shifts and releases in your health and well being… and FAST. It also means we can get straight to the root cause of your blockages, repair and rewire things at their source, and facilitate healing on multiple levels at the same time. 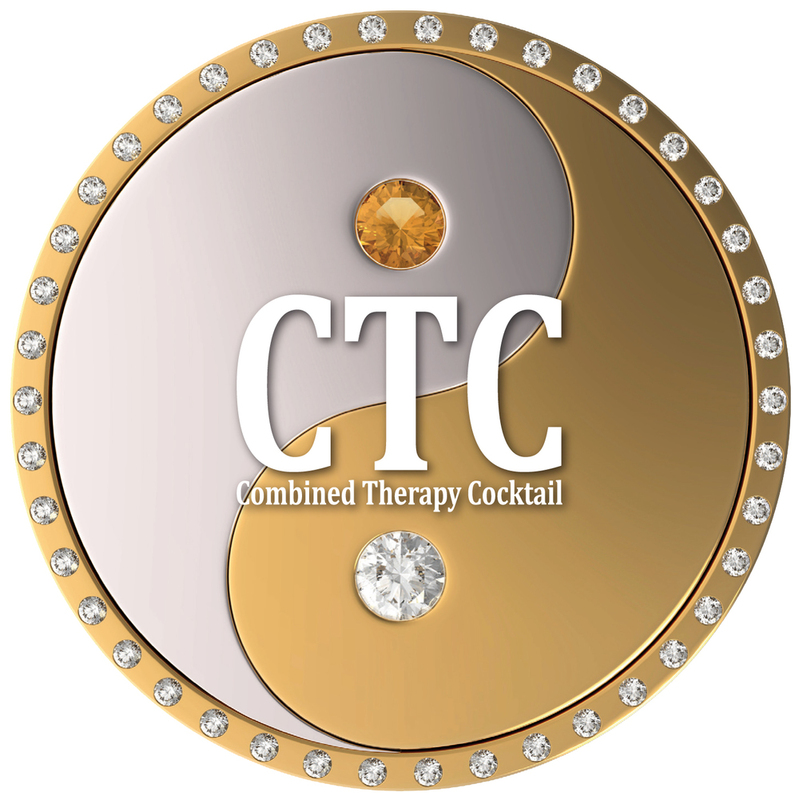 CTC - Combined Therapy Cocktail™ is especially effective in instances of addiction, eating disorders, phobias, food and weight-related issues, pain, illness, inner child issues, anger and depression. What specifically does a CTC deal with? Do you want to be free of the past, live in the present and create the future you desire? Do you want to be free of all of those fears and limiting beliefs that hold you back from being all you can be? Do you want to be free of those debilitating phobias? Are you struggling with waves of depression or having trouble losing that extra weight? Are the stresses in your life affecting you physically and are you struggling to cope? • All fears including public speaking, heights, confined areas, being judged etc. • Addictions, including sugar, smoking, alcohol etc. • Phobias, including spiders, confined areas, heights etc. So how does a CTC work? If you’re serious about creating change quickly and living the best version of yourself then the Life Transforming CTC is just what you need to kick start that genetic re-engineering (rewiring of the brain). Not only is this therapy about freeing you of all that holds you back from being the best you can be, but it brings your energy, your spirit, your power back here into present time. More importantly root causes are targeted. Together we discover, heal and release that very moment in time where, because of your reaction to an experience, a disruption in your energy field took place that in turn caused you to download a particular programme that has continued to play out as patterns that really don’t serve you. In order to have a lasting and true transformation, the mind, body and Spirit all need to be treated in one session. This is exactly what the cocktail does. Various modalities including but not limited to Neuro-linguistic Programming (NLP), Hypnosis, Reiki, Emotional Freedom Technique (EFT), Time Line therapy, Metaphysical healing and new age sciences are combined in the perfect order to allow healing on all levels. Everything is pulled in to create a session that is perfect for you at this time. The session leaves you feeling free of old emotional issues, lighter, empowered, more motivated, more certain of your direction and better able to deal with all situations. This 2-2½ hour experience will literally change your life forever! This is your life, your choice and if you always do what you’ve always done, you’ll always get what you always got. So decide now that you deserve more. Whatever is holding you back, know that the solution can be very, very simple. Allow me to help you let go of the past, live in the present, and create the future you desire. What would it mean to you to have that compelling future you have envisioned? Give yourself that gift.